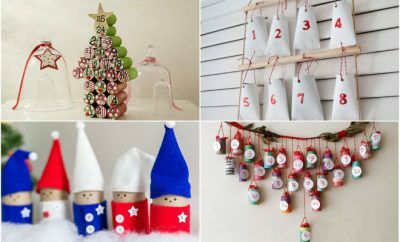 There are many different advent calendars on the market to choose from. 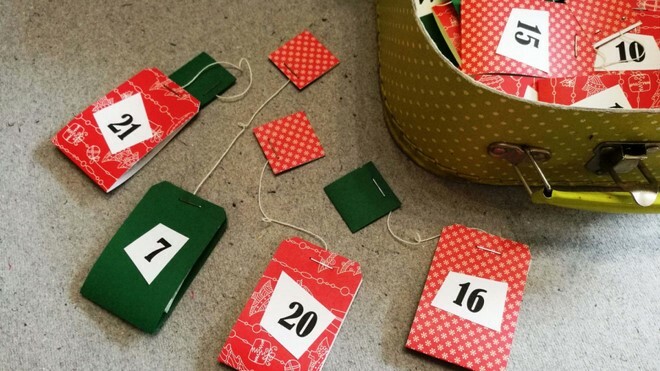 But the most beautiful are still the homemade countdown calendars with unique and personalized design. 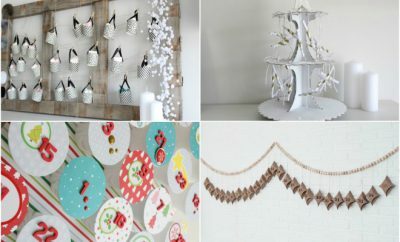 If you are looking for an easy and cheap craft idea, then this Advent calendar is definitely the right thing for you. Instead of chocolate there is a tasty and special tea for every day till Christmas Eve! 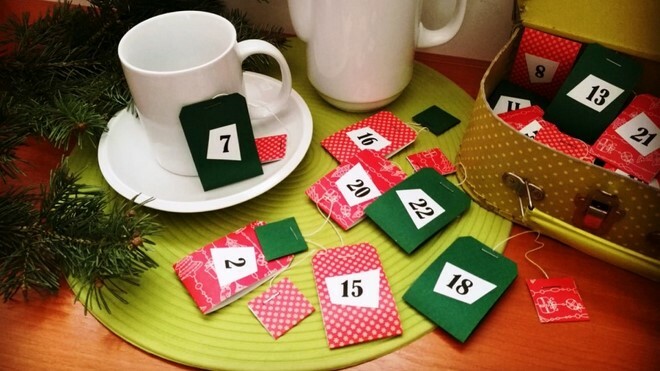 You can give this tea advent calendar as gift to a friend that eats healthy and try to avoid sugar and candies. Or to your husband or boyfriend who enjoys a warming cup of tea in a cold winter evening. 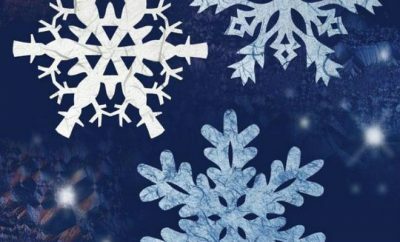 Make the Christmas season extra special! 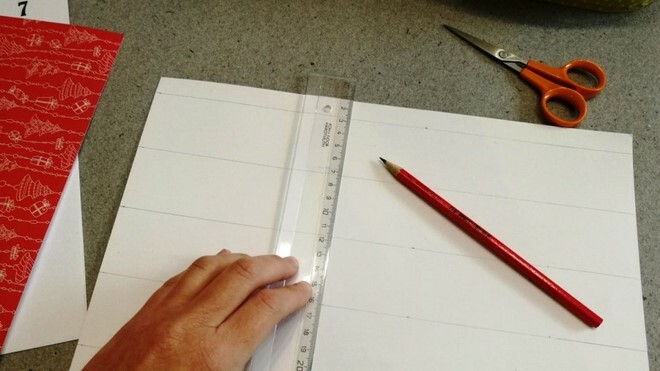 Using a pencil and ruler, draw 24 rectangles of 4.5 x 14 cm (1,7 x 5,5 inch) and 24 rectangles of 3 x 6 cm (1,18 x 2,36 inch). 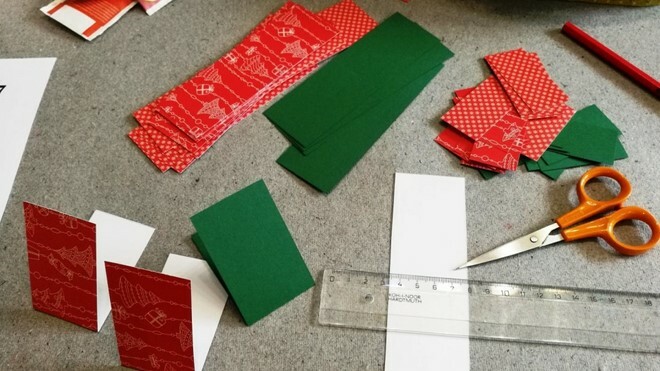 Cut the rectangles and fold over the middle crosswise. 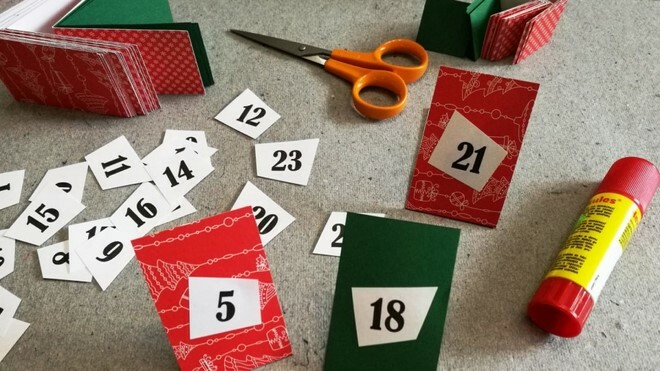 Cut out the individual numbers and glue them on the front side of each rectangle. Open the tea bag packaging to take out the string. 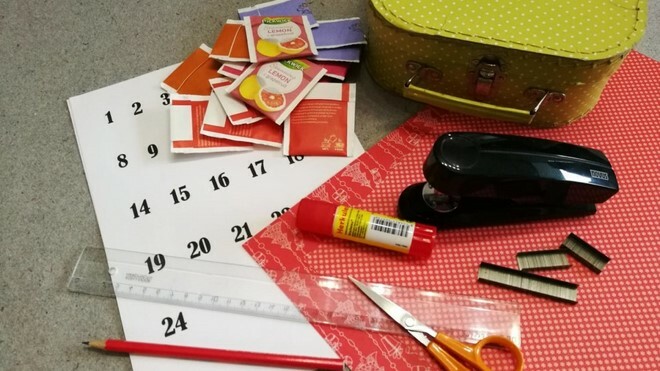 Then lay the tea packets between the two scrapbooking layers and and close using the office stapler. Be careful not to damage the original tea bag. 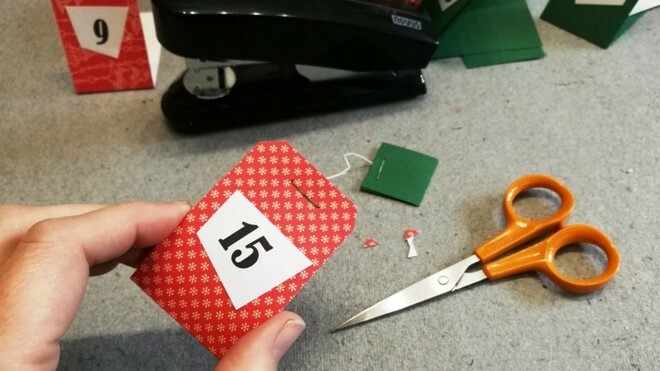 Then use the smaller folded rectangles to hide the tag on the string. At last, you can carefully cut the corners of the scrapbooking paper bags. Put the finished tea bags in a suitable storage box.